Draft day trades are often very important deals. Players like Kawhi Leonard, Kevin McHale, LaMarcus Aldridge, Kobe Bryant, and Joakim Noah are just a few examples of some huge names who were relocated on draft day throughout history. For this article’s purposes, draft day trades will also include the small, yet meaningful, trades that included picks, which occurred either the day before or after the draft. This is a fairly good deal for Denver. They had no place for McDermott in their lineup anyway, as Gallinari and Wilson Chandler are both very strong small forwards, and putting a talent like McDermott to waste would be no good at all. They drafted him for the sole purpose of stockpiling later picks to get guys that they really wanted, and I think they succeeded in that respect. 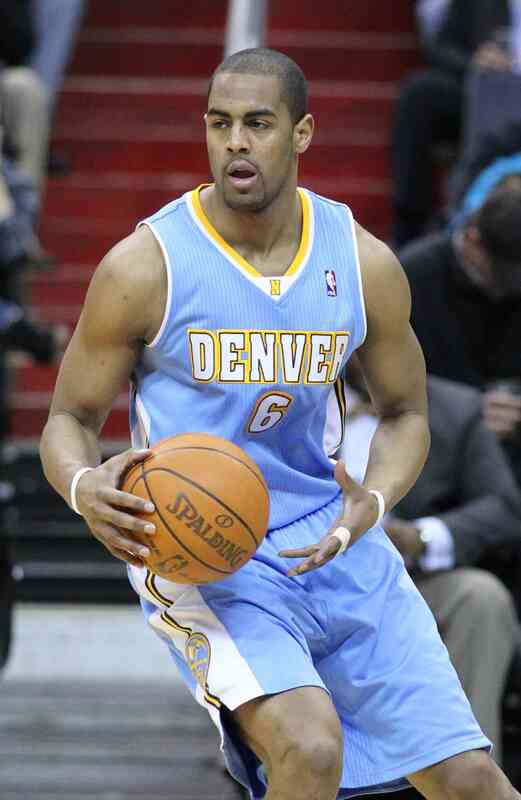 Randolph was also being put to waste, to some extent, in Denver, as they have a very crowded front court. Gary Harris is a very high upside player, and he fits well with Brian Shaw’s scheme. He also is a future staple for Denver, as their other two shooting guards, Afflalo and Randy Foye, are both getting older. Jusuf Nurkic is a high risk, high reward player. He has the body and talent to be a quality center, but he is very raw, and there is no guarantee that he’ll ever come over to the NBA. If Nurkic pans out as well as they had hoped, this would be a good deal for the Nuggets. Chicago got, in my opinion, the better deal. They’ve wanted McDermott ever since the draft process began. There had been rumors for months saying that Chicago was going to trade up to get Doug, and they’ve done just that. His mid-range and long-range shooting are exquisite, and his back-to-the-basket game is very good, as well. People underestimate his athleticism and speed, and although he certainly isn’t the strongest, most athletic, or fastest player in the game, he is above average in all of these areas. 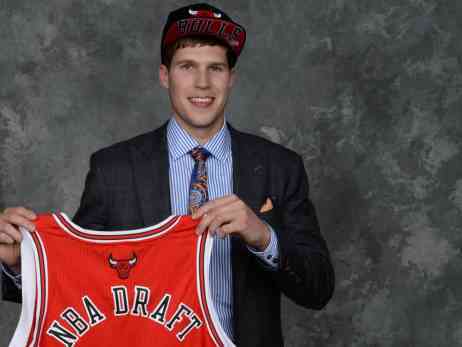 It has been said that McDermott won’t be a good NBA player, but with his talent, and a great coach like Tom Thibodeau, he’ll likely be a success. Anthony Randolph is also a very good addition to their bench, and will play a fairly big role, especially if they end up getting rid of Carlos Boozer. Orlando, on the other hand, made an awful deal with this one. I understand that they wanted to get something in return for Afflalo, as he has an expiring contract and probably won’t want to stay in Orlando, but I’m sure they could’ve gotten a better deal. In a backcourt that holds a few solid players, including Elfrid Payton, Victor Oladipo, and Jameer Nelson, Fournier’s role won’t be very impactful. Devyn Marble put up solid stats at Iowa, but he doesn’t seem like a player who will thrive in the NBA, and could possibly be out of the league within a few years. Not to mention, he is also a guard, and it is doubtful that he will even make the roster. This was a very good trade for the Pelicans. The only noticeable weak spot on their depth chart, before this trade, was at center, where they would play Jason Smith. 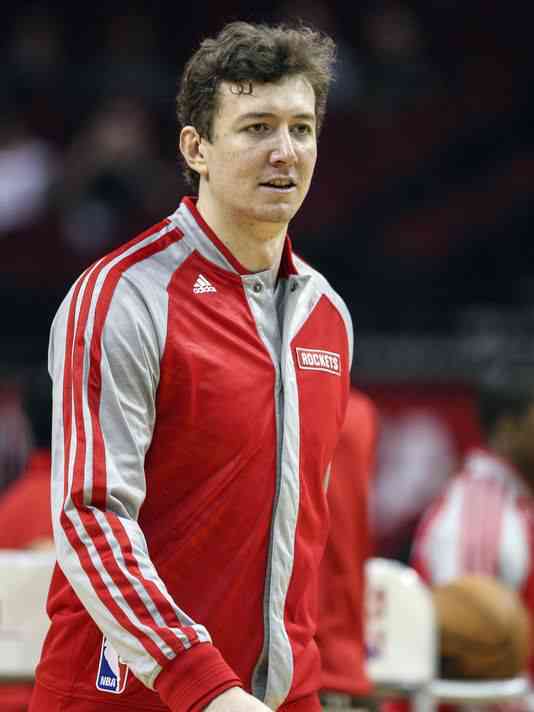 By receiving Asik, they solidify their lineup and receive a very good rebounder, and solid overall offensive and defensive player. He’ll play very well with Anthony Davis, and playing together could possibly improve both of their games. If Eric Gordon and Tyreke Evans live up to their contracts, expectations, and potential, this team could be very dangerous. Houston also made a very good trade in this one, as they cleared up money to possibly make a run at Carmelo Anthony or LeBron James. Also, there is a good possibility that the Pelican’s 1st round pick will be in the top half of the round, at least, and Houston could have a very valuable pick and acquire a great, young talent. Here are the post-trade projected starting lineups for both teams. This was a low-risk, but very good deal, for both sides. 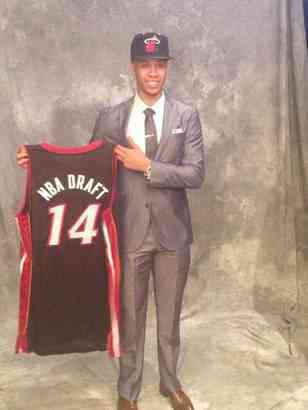 Miami received Shabazz Napier, who in my opinion, was the best point guard in this draft class, save for Marcus Smart and maybe Dante Exum. Also, LeBron James is a huge fan of Napier’s and has been letting the world know that for a while. With LeBron now a free agent, Miami needed to give him some reasons to return, and acquiring Napier will certainly not go unnoticed by LeBron. In fact, he already tweeted about the pick, saying “My favorite player in the draft! #Napier”. Because of his high ceiling, and LeBron’s clear endorsement of his game, acquiring Napier was a genius move by Pat Riley. This deal was pretty good for Charlotte, but nothing that will make a huge impact come the 2014-15 season. They already traded Semaj Christon to Oklahoma City, so PJ Hairston is the only real acquisition they made from this trade. Hairston has had a troubled past, with arrests and ultimately being banned by the University of North Carolina, his former school, but there is no questioning of his talent. He averaged approximately 22 points for the Texas Legends in the D-League, making him an even more attractive NBA prospect. If Hairston can tap his full potential, and get past his speckled past, this could be a very good deal for Charlotte. This entry was posted on June 29, 2014 by smarkowitz1 in Analysis, NBA and tagged arron afflalo, arron afflalo trade, basketball, charlotte hornets, Chicago Bulls, denver nuggets, Doug McDermott, doug mcdermott trade, dougie mcbuckets, houston rockets, LeBron James, Miami Heat, NBA, nba offseason, nba offseason trades, nba trades, New Orleans Pelicans, offseason trades, omer asik, omer asik trade, Orlando Magic, shabazz, shabazz napier, shabazz napier trade.